Make the holidays more beautiful with Morning Glory. 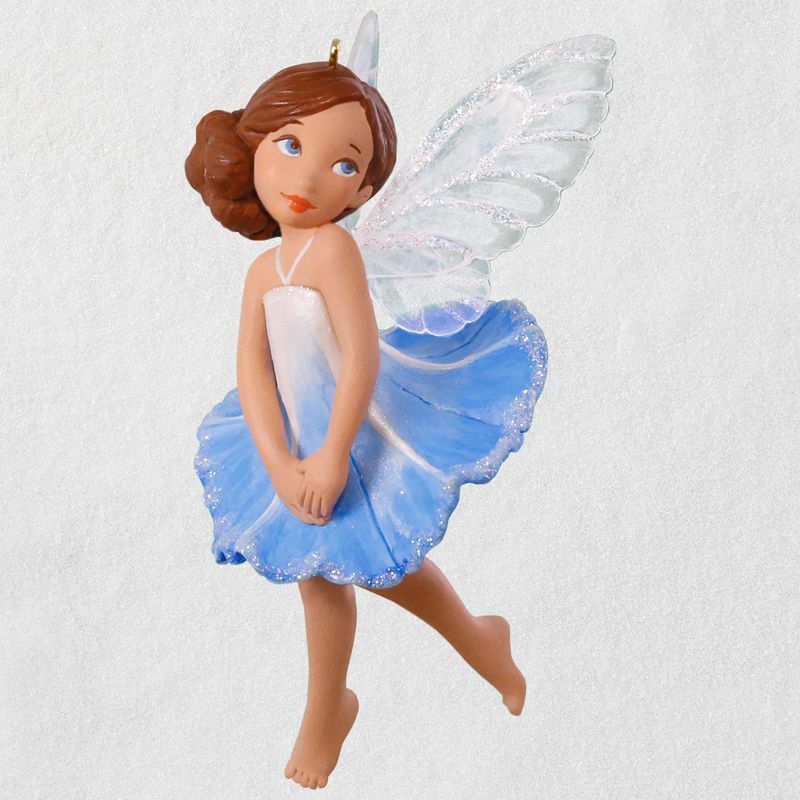 From a whimsical fairy garden to your home, this pretty pixie's iridescent wings, glittery flower petal dress and sweet expression make Morning Glory a lovely addition to your collection of Fairy Messenger Christmas tree ornaments. 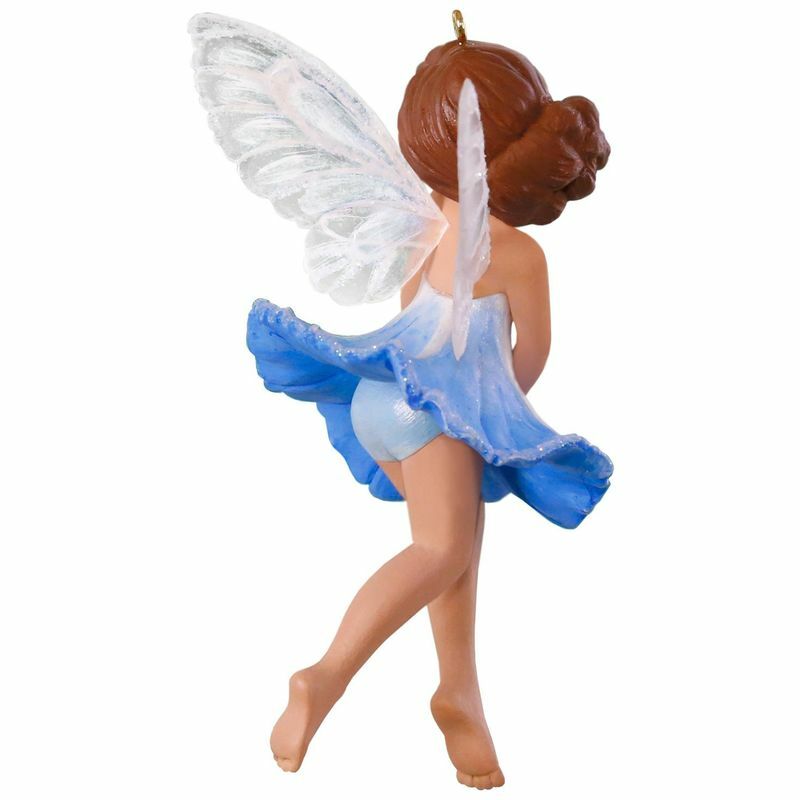 14th in the Fairy Messengers collector's series. Measures 1.81" W x 3.55" H x 2.1" D.